Bet you thought I forgot about you. Alas, I did not! Just been busy in the head. Ever been busy in the head? It means that your mind is racing with what to do and how to do it. Doesn't actually mean I've been running around all over the place, just that my mind has. 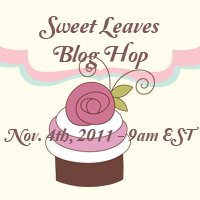 So, are YOU counting down to the blog hop? I certainly am! So very excited/nervous. I really hope I finish my project on time. The crazy procrastinator in me keeps finding other things to put ahead of finishing my project. I hope you are all fairing much better in your discipline. Did you hear about the snow storm we had this weekend? All I can say is F-R-E-A-K-Y! And...I'm NOT READY FOR THAT JELLY! Thankfully today was a gorgeous day and I have enjoyed it with my kiddies thus far. Now I have to get back to quilling quilling and more quilling. Here is a snapshot of my strips. I hope I have enough. If I don't I will have half a project for you on Friday. LOL! No, seriously, I can't wait to see everyone's projects. If you are not part of the hop please be sure to stop by Friday morning at 9am sharp to cyber-travel the world and see the amazing things that tiny simple paper strips can create. Look forward to seeing you all right back here hopping along (perhaps with a delicious cuppa joe in one hand). Nothing better than blogs and coffee...am I right? He was on to me. See? And a tiny pic of my slowly dying garden...BOO! cute squirl, I'm excited about the hop, cant wait to see what every one has made!! !